 Sports massage is deep tissue massage to a specific area/problem. Sports massage is used to alleviate stress and tension in the soft tissue caused during exercise. There are three types of sports massage: pre, post and corrective. Sports massage to deep tissue massage works by breaking down any adhesions or tension within the muscle fibres. The sports massage therapist will use repetitive movement over the effected area to relieve the muscle tension. Yes, as sports massage is deep tissue some clients, unfortunately may find the treatment uncomfortable. Some clients will feel discomfort for 24 to 48 hrs following treatment. Do I need to be sporty to have a sports massage? No!! Sports massage is good for a variety of conditions as it concentrates on specific areas or problems. Sports massage will benefit the following: Chronic pain, lower back pain, limited mobility, recovery from injuries - sports injuries, whiplash, RSI, postural problems, General muscle tension. Here at the Gary Sadler Physiotherapy clinic we have an experienced Sports massage therapist who works closely with our physiotherapists to provide the best results for our clients.